Although exact dates and product specifications have not yet been revealed, AMD is hoping to achieve "double-digit growth" with this generation of products, according to CEO Lisa Su. AMD has just started providing details on its next-gen EPYC processor codenamed "Rome", which will be the industry's first server processor on the new 7nm node. And they should give the company a strong base to attack Intel's near 99% market share in chips for corporate and cloud data centers. Rome CPUs will have up to 64 cores using a new modular "chiplet" style of architecture rather than the core complexes used by first-gen Zen CPUs. Both, regardless of model, connect to the host on a PCI Express 4.0 (PCIe 4.0) bus, while an onboard Infinity Fabric link allows for up to four GPUs to be connected together in a 'hive ring configuration' with 200GB/s of peer-to-peer bandwidth. 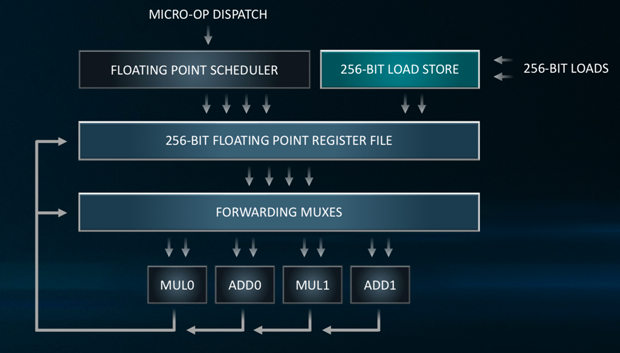 AMD says this will greatly help with uniform memory access latency, which was potentially a bottleneck when data had to hop from one core complex to another. The new chips will also come with an eight-channel DDR4 memory controller capable of supporting up to 4TB of DRAM per socket. The GPU, meanwhile, is claimed to be the world's fastest double-precision accelerator, with the MI60 incarnation offering 7.4 teraflops of peak 64-bit floating point performance and the MI50 up to 6.7 teraflops. The company is also claiming a potential 45 percent reduction in total cost of ownership for an Epyc-based server rather than comparable Intel hardware. While Rome is sampling with customers now, AMD has not yet proffered a timescale for consumer-centric Zen 2 implementations. Zen 4 is also in development, but there is no further news on that yet. Fear not, because not only will the EPYC "Rome" chips be socket compatible with existing EPYC "Naples" silicon, but it will also be forward compatible with AMD's "Milan" CPUs that will use the Zen 3 microarchitecture. Performance wise, EPYC Rome will bring 2x the performance per socket and 4x floating point per socket improvements, compared to the previous generation. Quenneville is the second-winningest head coach in Blackhawks history with a record of 452-249-96 since 2008. Whenever Quenneville wants to get back to work, he likely will have plenty of suitors.